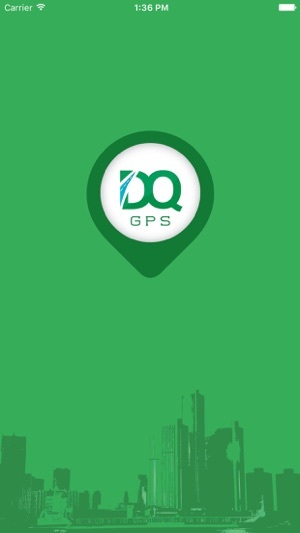 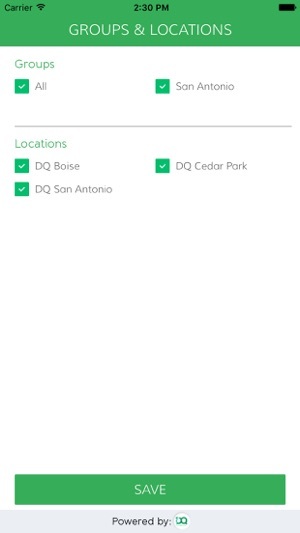 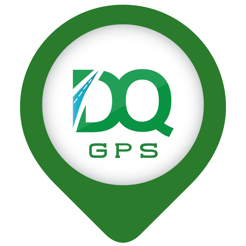 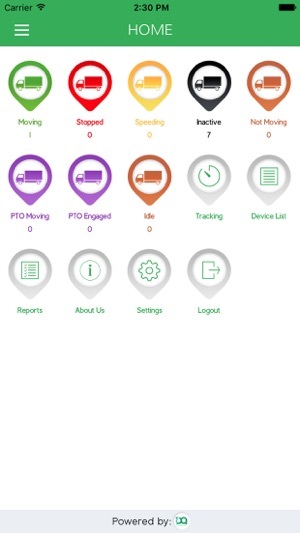 Use the DQT GPS app to track the whereabouts of your companies fleet. 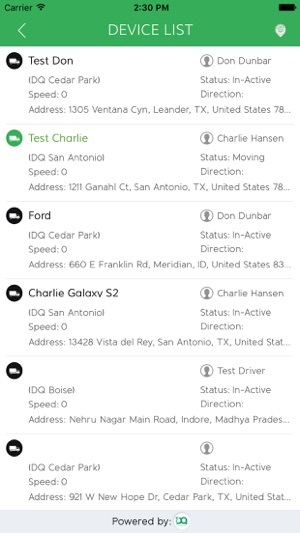 View a list of all vehicles and their status or use the map to see the proximity of a many or a specific vehicle. 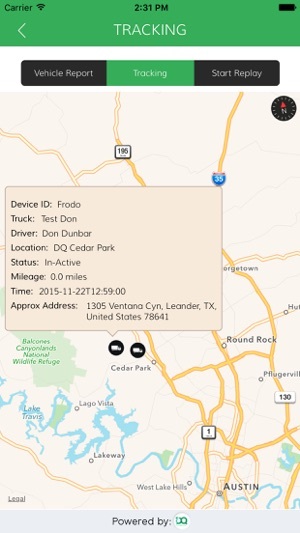 Use popup tool to Zoom In to a specific vehicle, for more detailed speed, direction, and approximate address.